In some ways America has been lagging behind the rest of the world. Sure, we have some things that some other countries don’t like all you can eat buffets, the Rocky Mountains, Taylor Swift, and freedom (insert bald eagle cry here). However, there are some things that we lack here in the good old US of A. We don’t have the Eiffel Tower, Roman ruins, an Autobahn, or Venice, although we do have Venice Beach, but it’s not the same. Another thing America lacks is a big luxury sedan, one that screams ‘Merica (insert bald eagle cry here). At least we didn’t. Until this year that is. Sure, we have Lexus, which to be fair is made in America. But the Lexus brand belongs to Toyota. Good cars. But you never hear the phrase American as apple pie and Toyota, and you certainly can’t drive your Lexus to the levy only to find the levy was dry. Well, you could but, the song wouldn’t be as good. 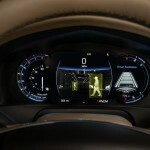 That leaves General Motors and its luxury flagship brand Cadillac. Cadillac was once the king of the big luxury sedan. The kind of big cars that filled up an entire lane and took two days to arrive. Elvis prowled the streets in them, and owning a Caddy meant you owned the best luxury vehicle on the road. Economics and high gas prices shrunk the Caddy and the Germans invaded, bringing large BMWs and Mercedes with their fancy gadgets and such. 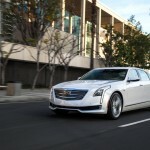 And so Cadillac took its big fancy sedans and retreated. 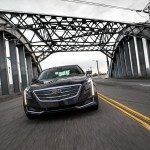 Well Cadillac has charged back to the front lines, and done so quite well. The CT6 is new to the Cadillac lineup for 2016. 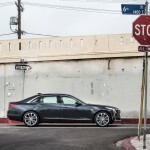 It’s meant to be Cadillac’s flagship vehicle and is based on the rear-wheel driver CTS sedan, only bigger. There are rumors that there will be an even bigger flagship from Cadillac in the near future, but for now the CT6 is the boss, and that’s just fine with me. There are four main trim levels for the CT6: base, Luxury, Premium Luxury and Platinum. Being a Cadillac, even the base model is loaded with standard features such as leather upholstery, eight-way power front seats with two-way power lumber. There is also front and rear parking sensors, a power tilt-and-telescoping steering wheel, and dual-zone automatic climate control. 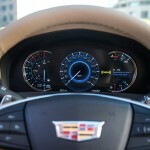 Tech features in the base model include Bluetooth, WiFi hotspot, a 10.2-inch touchscreen with Cadillac’s CUE interface and Apple CarPlay smartphone integration, rearview camera, wireless charging, and an eight-speaker sound system with satellite radio atop 18-inch wheels for the rear-wheel drive model or 19-inch wheels on the optional all-wheel drive variant. 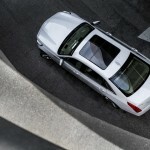 You can add the an optional Driver Awareness and Convenience packages which gets you automatic wipers, power-folding mirrors, heated front seats, and a panoramic sunroof along with several safety features including last assist, collision avoidance with automatic breaking and adaptive cruise control. 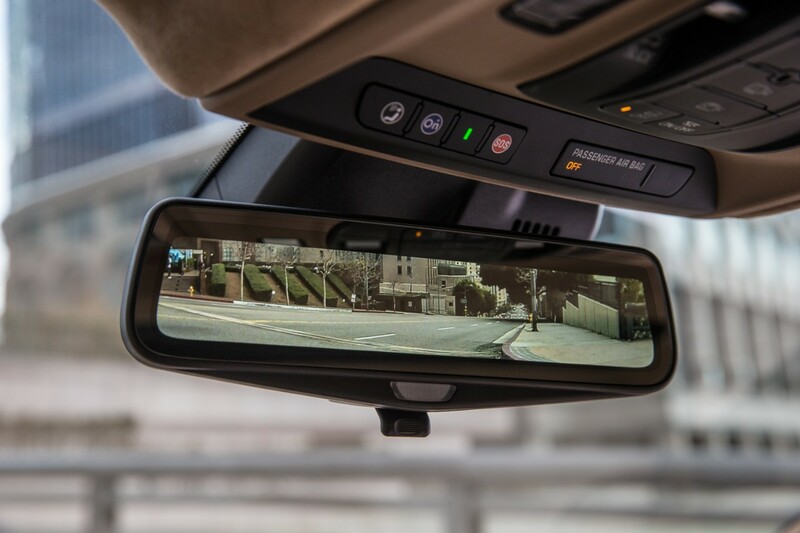 Moving up to the Luxury trim adds such things as a top-down 360-degree parking camera system, rear and side window shades, navigation, and a 10-speaker surround-sound audio system. For the Luxury trim you can add the Comfort package with ventilated front seats and heated rear seats. 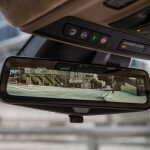 There is also an Enhanced Vision and Comfort package with the upgraded seats, and a unique rearview mirror that displays streaming video from a special rearview camera. There is also a nice massage feature available, always a personal favorite. The Premium Luxury trim level adds an upgraded gauge cluster display, a heads-up display and the Enhanced Vision package, which uses heat signatures to pick out people and large animals, and the Comfort package as standard. When you move up to the Luxury and Premium Luxury trim levels you can add the optional Rear Seat package. This adds a rear entertainment system and four-zone automatic climate control, and active rear steering, adaptive suspension dampers and 20-inch wheels. 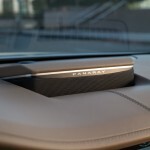 There is also a 34-speaker Bose Panaray premium audio system available as an option. Finally, at the top of the line, is the CT6 Platinum that has everything already listed as standard equipment, but adds premium leather upholstery, 12-way power front seats, and eight-way power-adjustable outboard rear seats with ventilation. Under the hood, the CT6 comes standard with a turbocharged 2.0-liter four-cylinder engine with 265 hp and 295 pound-feet of torque. 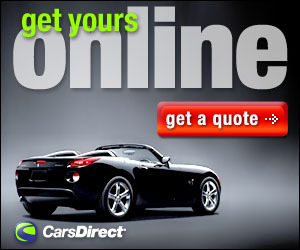 Rear-wheel drive and an eight-speed automatic transmission are standard. With the all wheel drive variants there are two V6s to choose from both mated to an eight-speed automatic transmission. An option on the base and Luxury models is and standard on the Premium Luxury and Platinum trims is a 3.6-liter V6 with 335 hp and 284 lb-ft of torque. Both the Premium Luxury and Platinum levels can get a turbocharged 3.0-liter V6 (3.0TT) with 404 hp and 400 lb-ft of torque (0-60 in just over 5 seconds). My tester for the week was of course the CT6 Platinum, thank you very much. Loaded with just about everything offered by GM my first glance had me smiling. 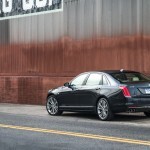 This is, finally, a big Cadillac sedan, and this sedan looks great. 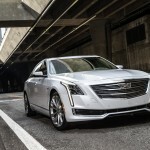 Yes there have been the CTS and ATS, and I have driven and liked them both including the –V versions, however they are not the big, bad and bold, sedans of Cadillac past. Yes there is the Escalade which too is big, but that’s an SUV, and people could actually get lost in there. 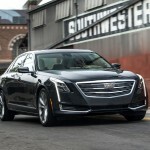 No the new CT6 is a big luxury sedan that American manufacturers have not made in quite some time. 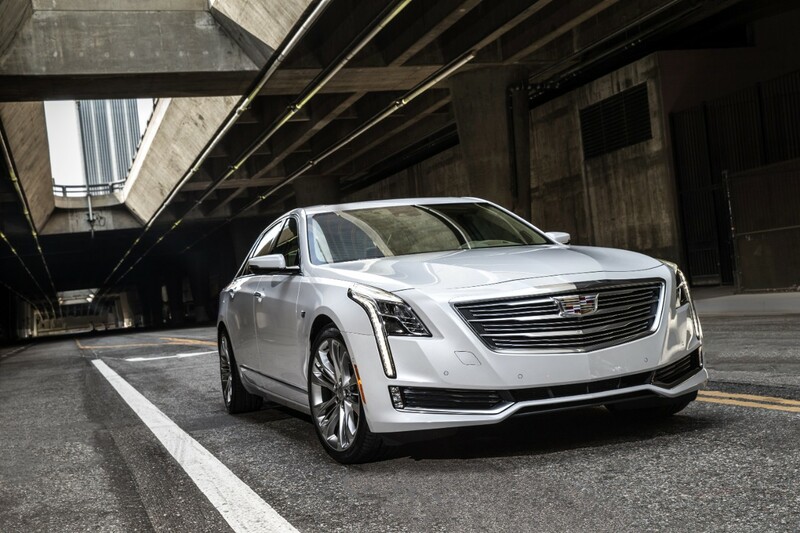 The exterior look isn’t the only great thing about the CT6. Interior wise the luxury is everywhere, but not overstated. Unlike the “all-business” interior of the Germans, the soft lines and gentle curves give a sort of luxurious feel that the Germans have never had. Looking at the rear seats with the entertainment system with its heated and ventilated seats with massagers, made me realize how spoiled kids, or any passengers would enjoy a long trip. The 34-speaker, let me mention that again, 34-speaker, surround sound was fantastic giving a home theater experience that I think is unrivaled in a luxury sedan. Take that you silly Germans. It may not be as quick as some of its rivals, but this isn’t a sports car and for everyday use the CT6 power is more than adequate, at least with the top of the line engine. The week I spent with the CT6 was an amazing one. Perhaps I am being too patriotic and thus clouding my judgment, or maybe the CT6 is just that good. Whatever the reason it’s good to know that Cadillac now has a big luxury sedan that can rival whatever the Germans or Japanese for that matter can throw at it. America is back in the big luxury sedan market, light the grill, shoot off some fireworks and put on some Taylor Swift, Cadillac is back, and in a very big way (insert bald eagle cry here).